The summer season is upon us, with the temperature rising by the day everyone’s searching for a holiday destination where they can cool down and relax. Beat the sweltering heat this season by breaking a sweat with a trip to north India. The adventurer’s paradise, North India has a little something for everyone. 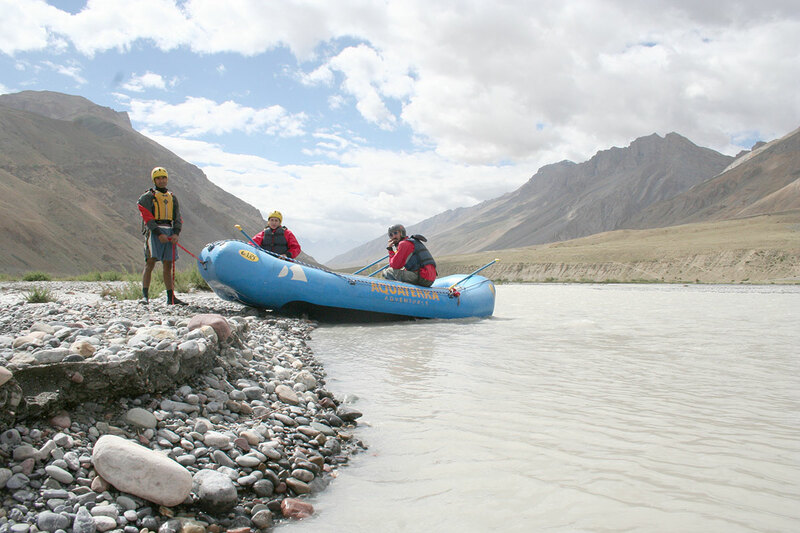 Join us as we take a peek into the different North India adventure sports that should be on your list this season. A heaven for hikers the Roopkund trek and the scenic beauty it beholds could be something you once read about described in a story-book. Like most stories this trek has an air of mystery hidden within it but with a horrific twist up ahead. The Roopkund alpine lake is situated at a height of 16499 feet above sea level. It is also called the Skeleton Lake due to the many human skeletons discovered around it.There are many theories as to how these skeletons got there. Some say they belong to Japanese soldiers who died during the second world war while studies suggest that they belong to an Indian tribe who were killed in the 9th century by a hailstorm. Although being a high altitude trek, Roopkund is an ideal trek for beginners to find their love for the road. With wide and well laid out trails it makes it almost impossible to lose your way back. The meadows on the Roopkund trek could bring a tear to the eyes of the most seasoned hikers, carpeting acres of land leading up to a majestic view of the Trishul and Nanda ranges. 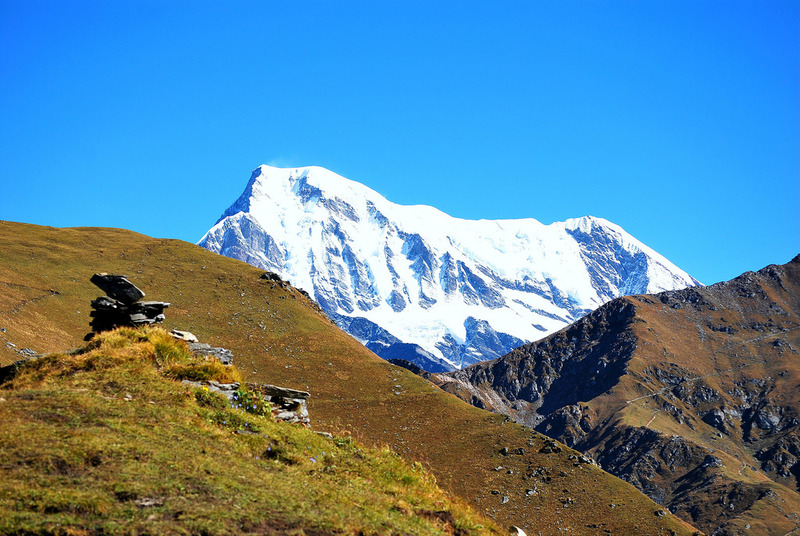 It’s no wonder that the Roopkund Trek is one of the most famous treks in the country. The image that you conjure up in your mind when you hear the words “bike” and “long ride” in the same sentence is that of Leh. As any Indian biker will tell you, the Leh- Ladakh bike trip is one of the first things they add on their bucket list. Blessed with beautiful lakes, natural formations and some of the most motorable roads in the country stretching in straight lines till the eye can see as well as some challenging terrains, this tour is a bikers paradise. 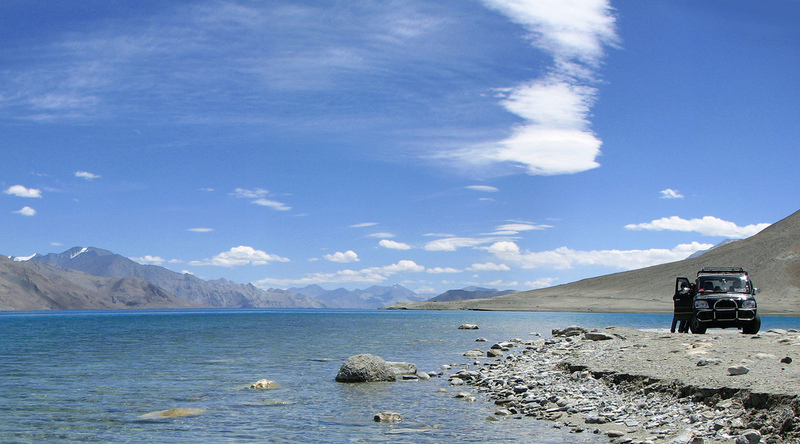 Visit the Pangong Tso also know as Pangong Lake which is located at a height of 4,350m,134 Km wide and stretches from India to China. The view of the lake is picture perfect and watching the sunrise over the cobalt blue waters here is a must. Visit the local monasteries and spin the Buddhist prayer wheels. Bir-Billing in Himachal Pradesh is the best place to go paragliding in the country. Located at an elevation of 24000 meters with its launch site in a meadow and host to the paragliding world cup in 2015, the Bir-Billing area is a popular site for paraglider pilots in India and around the world. Located high in the Himalayas the Spiti Valley is a cold desert mountain valley in the north-eastern part of Himachal Pradesh. Surrounded by the Kullu Valley in the south, Ladakh in the north and Tibet in the east, the twin valleys of Lahaul and Spiti is a region of nature at its wildest. The river has grade 2 and grade 3 rapids that are used for white water rafting. 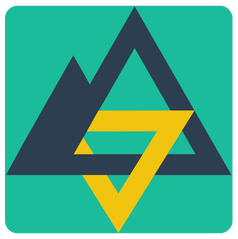 Work as a team as you break waves and tackle the rapids to reach calmer waters. Visit the local monasteries which reflect the Buddhist art and culture. The monasteries located here are rich repositories of ancient murals, wood carvings and golden images of the Padmasambhava. Fancy yourself an adrenaline junkie? Head to Rishikesh in Himachal Pradesh and strap in for a free fall dive you will remember for the rest of your life. 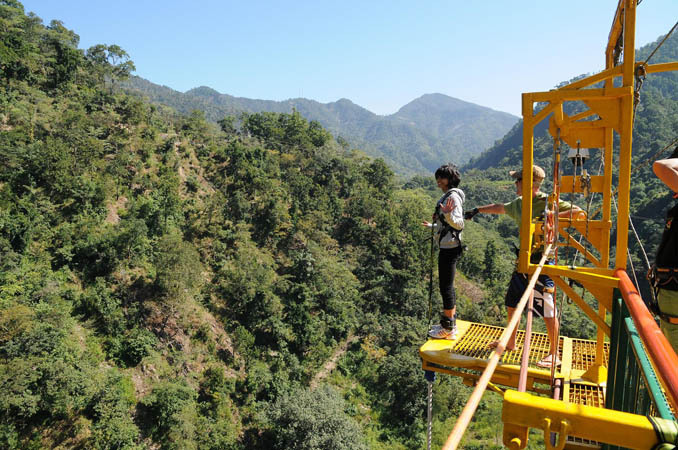 Rishikesh is home to the country’s highest fixed bungee jumping platform. The platform is at a height of 273 meters (approximately the height of a 22 storey building) overlooking the rocky river HYUL which is a tributary of the Ganga. The rubber bungee cords are attached to your ankles, take in the view, maybe a silent prayer and then jump towards the river. Feel the adrenaline course through your veins as never before. Once you are done with the jump you are later lowered into the water which is 2 ft high and you make your way back to the top. Don’t forget to collect the photos and videos of your jump along with your “Dare to Jump” certificate.